Triple net leases dominate today’s San Diego commercial lease market and virtually every landlord is faced with the annual burden of reconciling common area maintenance expenses (CAM expenses). Challenges to CAM expenses often spiral out of control. Tenants, ever weary of the unseen profit center, want to ensure that they are being billed correctly and are willing to share their frustration with other tenants. The management of CAM expenses begins with the initial lease negotiation which in the ideal results in lease terms that clearly set forth each CAM expense and how each expense will be calculated and apportioned. Experienced commercial managers and lease lawyers understand the need for clarity and comprehensiveness and strive for consistency among tenants while simultaneously negotiating the best possible terms. Unfortunately, the result is most often imperfect. 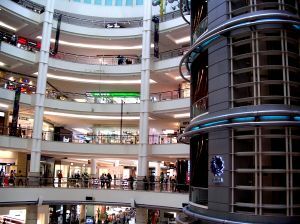 National chains and anchor tenants’ demands are given greater weight in negotiation and smaller tenants are finding themselves with increased bargaining power due to the current downturn. Regardless of the economic climate, landlords can and should take care in managing and accounting for CAM expenses. The goal is to reduce tenant frustration and avoid future problems and associated costs. The best first step towards improved management of CAM expenses is for property managers to simply pay attention. Supervision of maintenance operations ensures that waste is kept to a minimum. If or when a tenant does question a specific expense, the landlord will be prepared to produce relevant invoices and explain why the expenses were necessary. This is especially important for anchor tenants who typically have the resources to challenge landlords’ accountings. Too often property managers ignore potential problems hoping that the tenant will either forget about it or accept an evasive answer for fear of creating conflict. What property managers tend to overlook is that tenants have long memories. If later problems arise or if business starts to decline (for whatever reason), tenants inevitably latch onto the older seemingly innocuous issues and the landlord/tenant relationship can deteriorate rapidly. Regardless of the tenant’s size, experienced property managers know the headaches this can create. In addition to supervising maintenance operations, it’s best to know what allowable CAM expenses are for each tenant. That is of course why consistency in tenant leases is so important. Knowing that all of the tenants are billed the same way for all expenses makes for simpler calculations. Because perfect consistency is virtually impossible, it is particularly important that property managers know where the differences lay. Misunderstandings can be costly. It may seem that a parking lot improvement is simple enough. Putting aside that the anchor tenant may not be required to share in the expense (reverting a large share of the cost back to the landlord), it may be that another tenant previously negotiated for the specific use of some of the parking spaces being torn out. Another relatively simple step landlords can take is to better estimate the coming year’s CAM expenses. Spreading out anticipated expenses over the year is more palpable for tenants. They are less likely to dispute an improvement they knew in advance was calculated into their bill than when forced with an unanticipated lump sum payment due upon reconciliation. A little more communication up front goes a long way towards avoiding potential problems down the road. Other simple steps that can improve CAM management include: provision of proper notice to tenants for property improvements; frank discussions with new and existing tenants about anticipated capital improvements and/or transfers of ownership that will result in higher property taxes; oversight of accounting and bookkeeping; provision of detailed expense reports with annual reconciliations; careful calculation and documentation of management fees; provision of detailed annual budgets sent to tenants early; prompt notice to tenants of significant mid-year variances; and the prompt correction of billing errors. Perhaps it’s true that property managers’ efforts to run efficiently often go unnoticed. What is certain is that inefficiencies rarely escape scrutiny. Problems can and are often exacerbated if left unchecked until annual reconciliations. This may all seem obvious to the seasoned property manager, but it never hurts to step back and reevaluate operations. In the end, it’s about maintaining a level of professionalism that builds trust and valuable long term relationships with tenants. The value of existing tenants as an asset shouldn’t be underrated. Empty commercial space in San Diego is ubiquitous, and even those high value commercial spaces are seeing significant turnover. The costs are high and at the macro level astronomical for San Diego County. Commercial property managers of all sizes are scrambling to climb out of this hole desperately courting prospective tenants. There’s nothing wrong with accepting this reality. Bureaucracies, inertia and complacency are powerful engines. This writer merely suggests that the balance sheet is better served by working closely with long term existing tenants than the continual rolling of the “new tenant” dice.